Graphics is one of the most important elements of a brand. No one likes to see a bad design or misaligned text on the website. At RoundChillies we breathe design. Every digital activity that we do has its design elements aligned to the marketing objective. WHAT TYPES OF DIGITAL GRAPHICS DESIGN WE CREATE? A Logo is significant for your branding. It is the first level identification for your business. A professional looking logo which conveys your brand philosophy is quintessential. At RoundChillies, we understand the value of a logo, and our expert designers can help you create the brand identity that represents your personality. 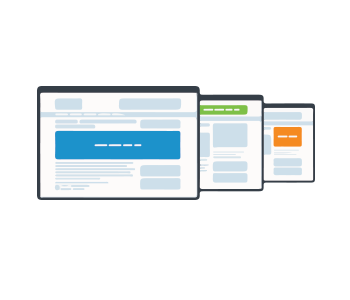 A website without graphics is just plain text. 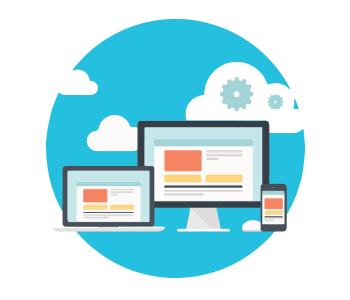 Apart from the structural design that is required for a responsive website, it also needs internal graphics. 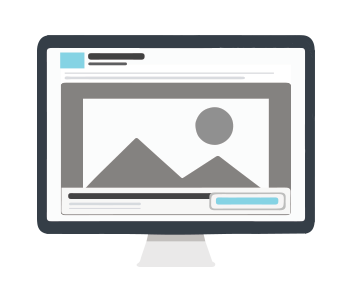 Website graphics design involves creating individual graphic elements that go well with your content and augments the message that you are trying to give to your audience and customers. A well-designed website graphics gives a better impression of your service quality. Website graphics design involves banner images, homepage graphics, infographics for services, charts, illustrations, etc. Graphics is the most selling element in social media today. Most of us today judge a company's social account by looking only at the images that are shared. With the advent of smartphones and filters, everyone is a designer today. Therefore we are always on top of Social media graphics design and deliver the best of all creatives in this area. Social media graphics covers Facebook, Instagram, Pinterest, etc. This service is a part of our PPC campaigns, where we create all display ad campaign graphics for your AdWords and Facebook Ad Campaigns. Display ads of all size will be created to show the perfect message blended with a modern design.